Are you juli on OCTGN? i really want to be in this event, but can forsee scheduling issues. so count me out. i am really sad to skip this, as i am sure it will be a great time. perhaps i can work on getting octgn set back up and play some pickup games with folks along the way. Ditto. Hope to get some practice games in with BigL16 (so I'm not such a n00b w.r.t. the OCTGN interface), then maybe join the league next season when things cool down in the fall. I have never tried to play online, but once you get it figured out maybe you can help me with it. It will be a lot easier doing that while hanging out over your place, I would imagine. Am I on time yet? After some last minute shuffling around, I think we're ready to kick this off. We have 14 participants in the league. Once everyone has played 13 matches (One against each other player), the top 4 records will go into a double elimination playoff to determine the winner of the first season of The League of Extraordinary Mage Warriors. I will list everyone's name and their first 3 opponents here and will update the front post. Everyone has 3 weeks from 22 May to play their first 3 opponents and report the result back. This gives a bit of scheduling flexibility so you can knock all 3 out right away if you want to (or have a week that's better than others). Any matches not reported will be counted as a draw for both players. If you have tried to contact your opponent and receive no response within a couple of weeks, let me know and I'll give you the win by forfeit instead. Any card available on OCTGN at the time of the match being played is legal for a book. 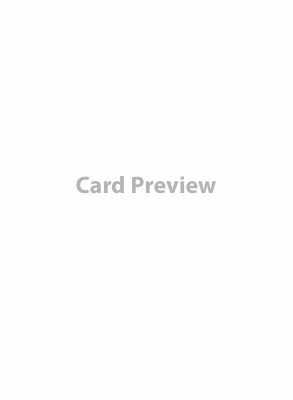 Promos will be allowed as they are with the following exceptions: If the card has been released and has changed, the released version takes precedent. Ballista will be counted as Unique and War Mage Only. - The Winner of the League of Extraordinary Mage Warriors season 1 will receive a copy of The Lost Grimoire in addition to the two academy sets and a Trophy to go with it (picture not available yet). If there are any questions/concerns/I messed something up please let me know. Tambien, "Yet" y "Still" no significan el mismo cosa en ingles. Lo siento, no intento criticar tu ingles, solo quise practicar mi espanol. Really cool to see that you've added prizes. Great initiative for what will hopefully be a great tournament! Everyone, good luck and have fun. Those are going to be great 13-15 weeks. It's great to see the prizes. How tiebreaks will be resolved? Btw, has anyone ever actually had a game of Mage Wars Arena result in a draw without going to time? Like say, player 1 has 33/34 damage and a magebane on themself, casts a fireball on his opponent to finish them off? Or two players simultaneously dying from burn/rot/etc in upkeep or something? I have been playing Arena for several years and I've never seen it happen. I know it happened in my group once. Just won my first league match using the new and improved version of the Frugal Warlock (core set x1 only), against BigL16's Anvil Throne Warlord. It was an awesome match. I cheetah speeded myself then ran to NC, cast nullify on self. He conjured a battle forge, moved and cast a moonglow amulet. I summoned my dark pact slayer bloodreaper and put magebane on him. He equipped himself from his forge and moved to NC then cast another forge. I teleported him away from his forges and tanglevined him, then started attacking along with my dark pact slayer bloodreaper. I started to get worried when he conjured a harshforge monolith, making me pay upkeep for my magebane, nullify, and cheetah speed, but I persevered. He basic melee attacked the tanglevine, boosted by his gauntlets of strength to do 7 damage to it. I put bear strength on my slayer and continued to attack him, albeit with less mana than i would like. I was on a time limit. He had destroyed my tanglevine. Once I had enough damage on him I put poisoned blood on him. Worried he might try to teleport away and put a wall between us, I made the mistake of trying to put a force hold on him instead of a tanglevine. I had forgotten that i had to pay 2 extra to cast the force hold on him because of his harshforge plate. I only had 1 mana left. He dispelled the poisoned blood and used minor heal on himself, going from 26 to 21 damage then back up to 23 from magebane. BigL16 had 4 armor, a veteran's belt and 2 defenses on him, but it was not enough to stop my final assault. I used my basic melee attack on him for 1 damage, and then my bloodreaper attacked. 8 dice, piercing 2 is no joke. Against a 4 armor target, he would probably do about or close to 6 damage on aveage, which would have been only 4 away from victory. Then I would have finished him off during the next round's first quickcast phase once I had initiative. In retrospect, I was pretty lucky to get past both his defenses from dancing scimitar and reflex boots (although the fact that he didn't put his rune of shielding on either the scimitar or the boots might have helped make my victory more likely.) I should have cast tanglevine on him instead of force hold. Fortunately, by the time I made that one mistake, I already had a huge damage lead, and the Dawnbreaker was smiling on me. In the end I managed to survive without taking any damage, but it was a close call. BigL16 seemed to be on the verge of turning things around the entire game, and I had to stay on my toes. I suspect that my fast and aggressive tactics took him by surprise, and that he was totally caught off guard when I teleported him away from his two battle forges. Looking forward to my next match! I've had that. We both burned to death in upkeep phase both playing a war lock. It was hilarious! I think it was one of the most fun games I ever played.